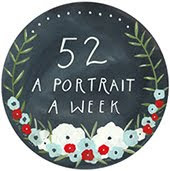 I'm on a crafting roll! Two completed projects in as many weeks. Can you feel my excitement? The Calm Cowl is off the hook. 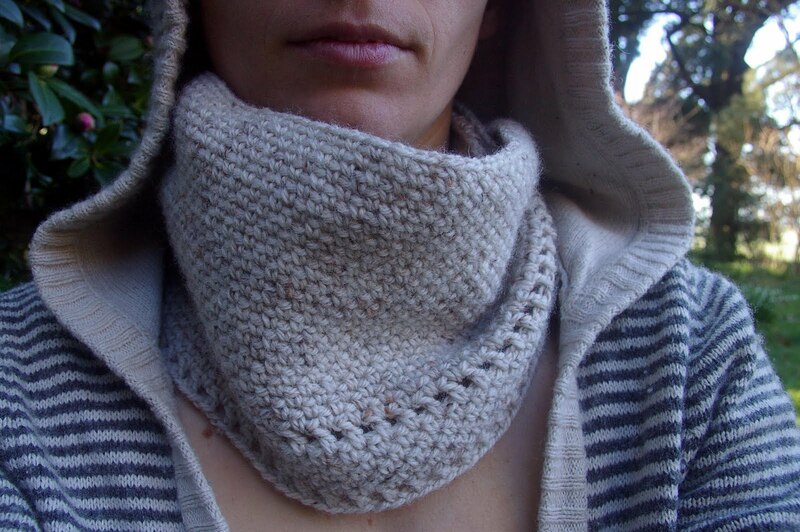 Ever since I saw Kate's lovely version, this cowl has been on my mind. I wanted to make it with some super soft yarn, but my impatience got the better of me & I dove into the stash with reckless abandon. I used Bendigo Highlands & it's a bit scratchy, but I think it is bearable... just. I'm itching to make another. This time with a bigger hook to create a softer more flowing fabric. I'd like a better drape, as this one is a tad cosy around my wee neck. Perhaps I'll splurge on some gorgeous madelinetosh too. I'm bored of my neutral wardrobe, it's time to inject some colour into my clothes. In the theme of last weeks creative space This week while standing beside the blushing camelia bush, magpies warbled in the gums above. They must have been warbling the toilet song, when a lucky omen fell upon my sleeve. I think it is only the third time I've ever been pooed on. Two to the birds, one to Huckle. Wow, well done! Cowls are the best - I bought one off Etsy earlier this year for our Sydney winter and I wear it at least every second day. I really like the grey colour that you've chosen here! It's gorgeous! And if you're bored if neutrals you could just make up another one in bright red or even yellow. Looks great though! Oh my gosh - I totally got all inspired by seeing the same cowl! I have been working on it too but instead have repeated the treble row pattern throughout. You can see it on my blog. Mine was a little snug around the neck too so I wondered whether I'd used the wrong hook. Yours looks great! I'm a big fan of cowls too! i have a knitted one and a fabric one - but maybe need another one or two to complete the picture! So this one is crocheted? 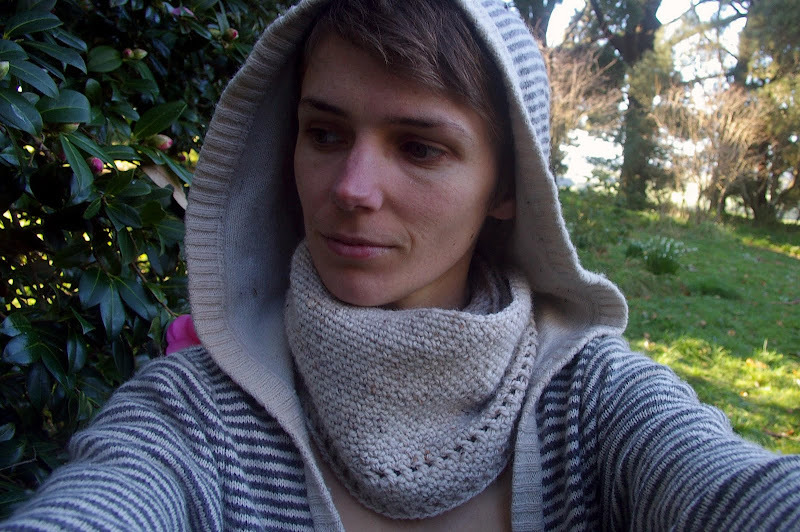 Your calm cowl looks lovely! It looks fabulous but I hear you on the itch factor. Bummer about the poo but rather partial to a magpie warble, myself.